Fayetteville State University (FSU) received the 2018 Inspiring Programs in STEM Award from INSIGHT Into Diversity magazine for its AGORA Program, managed by FSU's Center for Defense and Homeland Security (CDHS). INSIGHT Into Diversity magazine is the largest and oldest diversity and inclusion publication in higher education. The Inspiring Programs in STEM Award honors colleges and universities that encourage and assist students from underrepresented groups to enter the fields of science, technology, engineering, and mathematics (STEM). Fayetteville State University's AGORA Program will be featured, along with 77 other recipients, in the September 2018 issue of INSIGHT Into Diversity magazine. Inspiring Programs in STEM Award winners were selected based on efforts to inspire and encourage a new generation of young people to consider careers in STEM through mentoring, teaching, research, and successful programs and initiatives. "The AGORA Project is an innovative and dynamic STEM enrichment program for underserved, underrepresented and minority high school students in grades 9 - 12" says Mr. John Bellamy, Interim Executive Director for the CDHS. "The program serves as a Pipeline for students to learn the technical skills required for entry into institutions of higher learning for additional training and education to fill critical gaps needed in the STEM workforce. Students receive hands-on training in state-of-the-art classrooms and labs at Fayetteville State University, a Historically Black College or University (HBCU). The work that the students, mentors and instructors have put into this program over the past 4 years has been exceptional." 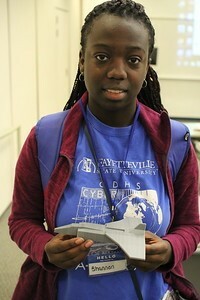 AGORA Student Shannon Jerrick proudly displays her creation of a 3-D Printed Space Shuttle. INSIGHT Into Diversity magazine selected FSU's AGORA Program because of its dynamic course content, where Master STEM Instructors deliver a host of training programs ranging from computer basics, Introduction to Python, Robotics, C++, Fundamentals in 3-D Printing, Cybersecurity basics, and more. AGORA students are comprised of a very diverse group of young men and women from underserved communities who are given the chance to excel in areas that are typically not offered in rural and impoverished school communities. 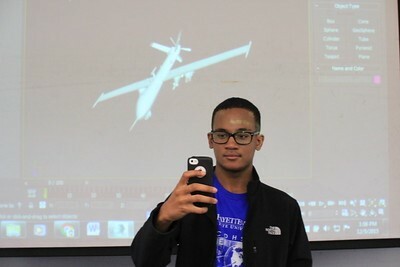 Student William Elder takes a Selfie with his creation during AGORA STEM Class. "We know that many STEM programs are not always recognized for their success, dedication, and mentorship for underrepresented students," says Lenore Pearlstein, owner and publisher of INSIGHT Into Diversity magazine. "We want to honor the schools and organizations that have created programs that inspire and encourage young people who may currently be in or are interested in a future career in STEM. We are proud to honor these programs as role models to other institutions of higher education and beyond." 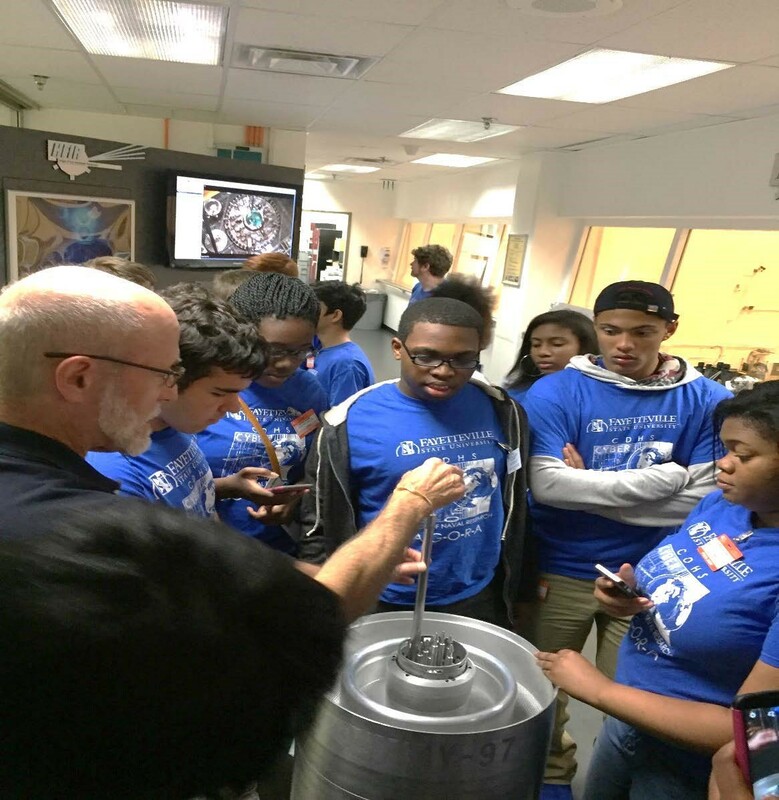 AGORA Students learning about control rods used in nuclear reactors during a field trip to Oak Ridge National Laboratory's High-Flux Isotope Reactor in Oak Ridge, Tennessee. A call for nominations for this award was announced in April 2018. For more information about the 2018 Inspiring Programs in STEM Award and INSIGHT Into Diversity magazine, visit www.insightintodiversity.com. Fayetteville State University is a constituent institution of The University of North Carolina and the second-oldest public institution of higher education in the state, having been founded in 1867. FSU offers degrees at the baccalaureate, master's, and doctoral levels. With more than 6,200 students, Fayetteville State University is among the most diverse institutions in the nation. Chancellor James A. Anderson is the 11th chief executive officer. To learn more about Fayetteville State University, visit https://www.uncfsu.edu. Fayetteville State University's Center for Defense and Homeland Security is designed to prepare the next generation of STEM and national security professionals to enter the workforce by addressing issues of compelling interest to the security of the United States. Through its diverse partnerships with national laboratories, industry partners, and K-20 institutions, the CDHS focus areas are STEM, Cybersecurity, Emergency Management and National Security. For more information visit https://www.uncfsu.edu/cdhs. call (910) 672-2006 or email: jbellam5@uncfsu.edu.